You’d probably ask, how can you have hawker food at a mall? Isn’t hawker food the type of food you find at an open air establishment? To me and my husband, hawker food is basically food you can purchase at a stall in a place where there are lots of stalls, and maybe eat as you walk. In the Manila there are probably some open air places that would qualify as hawker centers, but in this scorching weather it’s rather impractical. 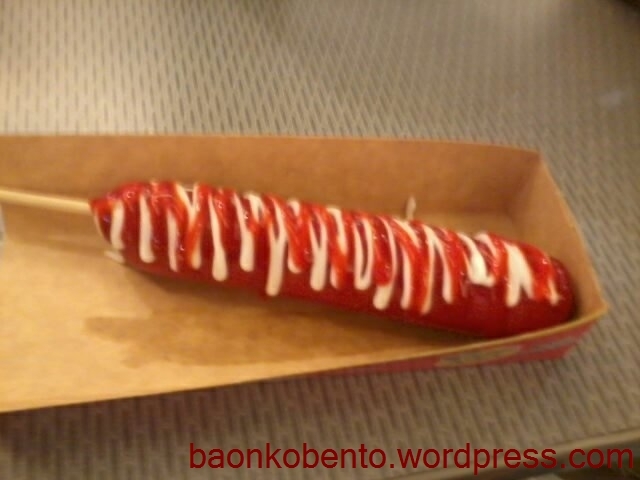 We decided to try this in Megamall, one of the largest (airconditioned!) malls in the country. We have just finished a clothes-shopping run while our daughter was off playing, and we were all pretty much famished. 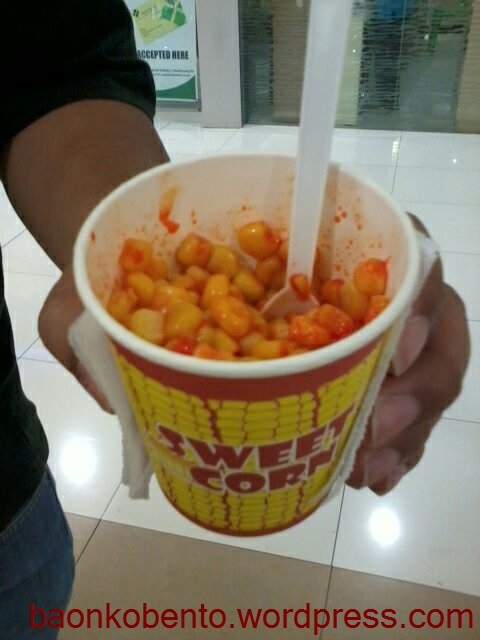 We started off with bottled water (Php20) and a small cup of corn kernels slathered with butter and cheese powder (Php30) from King Corn. 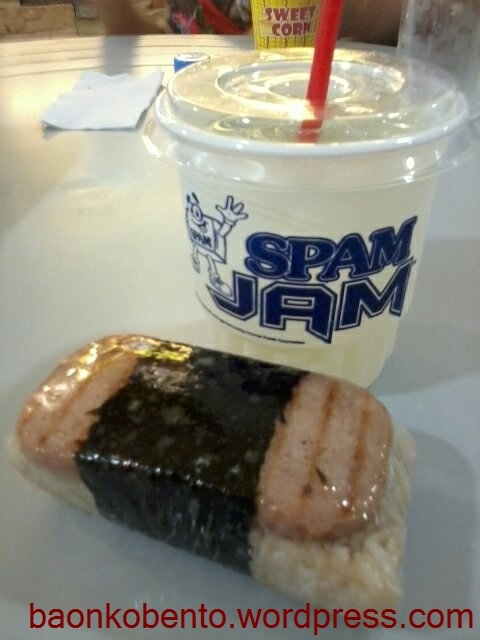 Next, we headed for Spam Jam on the other side of the mall and ordered a spam musubi (Php48) and lemonade (Php10 if you bought a spam item). Spam musubi is basically a giant sushi made with a slice of fried spam. T- finished up the corn, and went on to work on the lemonade. She didn’t like the flavored rice with the musubi, unfortunately, so she just nibbled on the spam which she likes very much. C- and I liked the musubi just fine. 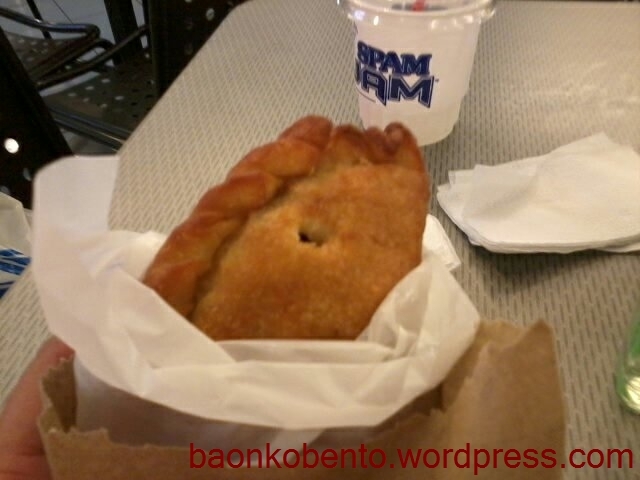 We moved on to the nearby Empanada King stall and ordered a couple of super empanadas (Php49 each). This, in my opinion, is the absolute highlight of the experience. Empanadas are essentially baked pastries usually filled with meat. 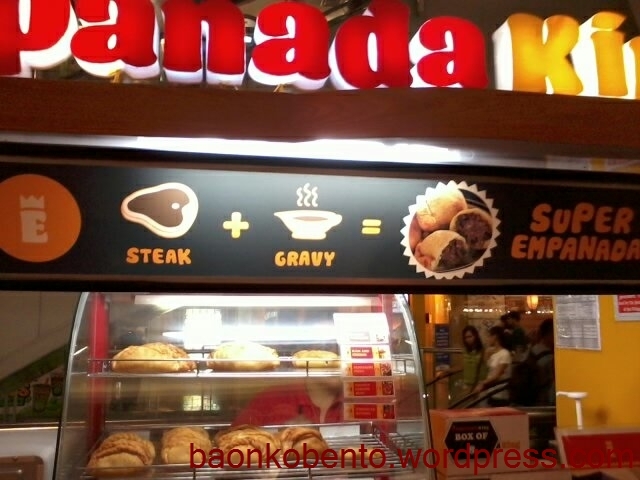 Super empanadas are filled with steak (!!) and is injected with gravy. Check out their banner. You’d think that a hawker stall like this would just give you some inferior cut of beef, or something that isn’t beef at all. But let me tell you, this is some prime steak meat! And the gravy that comes with it is wonderfully made as well. Everyone liked it so much that we felt that two empanadas for the three of us weren’t really enough. We also got a large cup of mixed berry tea with extra pearls at BubbaTeaLicious for Php60 near Empanada King. I realized just now that I forgot to take pictures of all the drinks from this point on. Here’s the best one I have of the tea. Note the supremely bored expression on T-‘s face, but actually she was just chewing on the empanada. We actually didn’t eat the empanadas until we got to the food court, where there are some great free seating. Since we were already there, and there are also several other hawker stalls in the area, we decided to get some more stuff. We got a three-piece takoyaki (Php27) at a stall unsurprisingly named Takuyaki; a shawarma with extra meat (Php60) at Fireshack Shawarma; a big cup of calamansi juice (Php25) at a stall that sells only calamansi juice, Green Fresh; a small order of nachos (Php45) at a stall whose name I forgot; and a stick of Purefoods Tender Juicy jumbo hotdog at the similarly named stall for Php40. 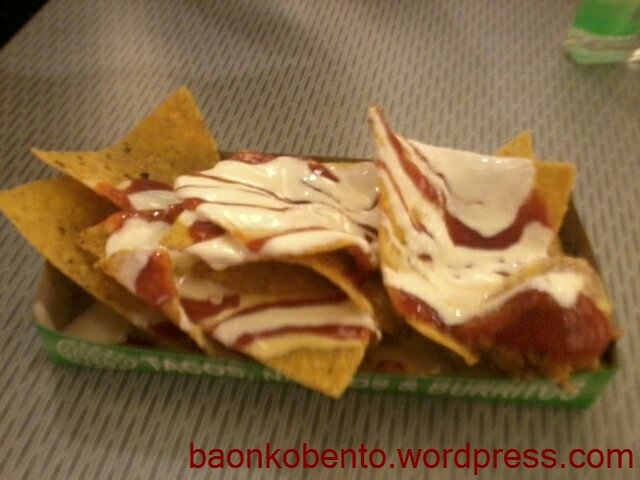 The only fail among the orders was the nachos – it didn’t taste that good and was pretty much forgettable. Otherwise everything was tasty and nice. T- ate most of one of the empanadas, and about a third of the hotdog. C- and I more or less split the rest. My favorite was of course the steak empanada, so much that we went back to get one more before we went home. Pretty good stuff! 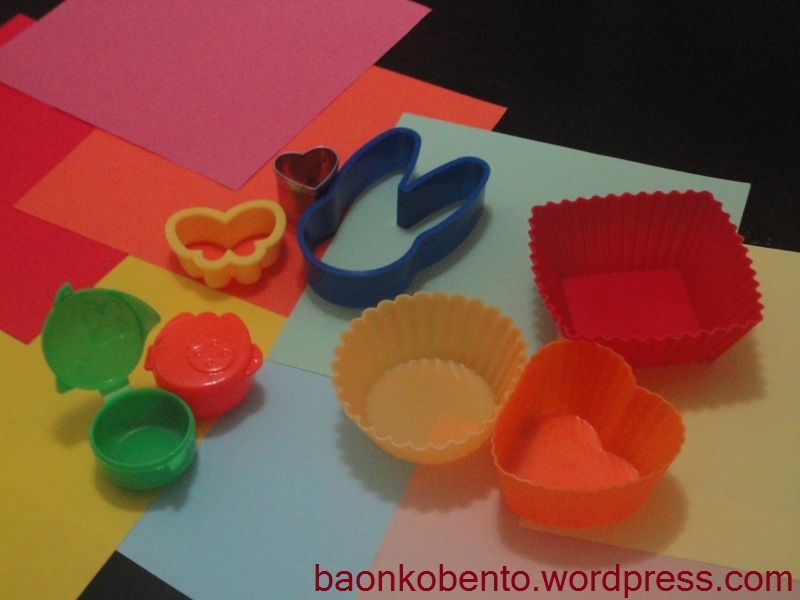 Just to recap, I’ve pledged to cooking or baking a new recipe per week of 2011 and posting about it here in WordPress. I am currently on week 9, and it’s been a wonderful experience so far. I would like to share with you what I have learned in 9 weeks of tackling new recipes. It is important to try plotting out a list of recipes/dishes I want cook for at least two weeks in advance. Three weeks would be better. The reason for this is so I know what dishes go with each other in terms of ingredients, and what days I need to be cooking. This also helps me cut back on the time I need in the mornings to prepare my baon. In terms of this challenge, it keeps me on track and I don’t have to use a recipe I don’t really want to try just to meet my deadline. It’s kind of self-explanatory, really. Having an organized shopping list will prevent any extraneous items from “falling accidentally” into your cart, and it will also reduce the overall number of trips to the grocery. What I do in addition is to have a priority list, so that I’ll know when would be the best time for a grocery run. This is important in relation to #1. When planning out the menu, it’s important to think about or even list down the contents of the fridge and the pantry. This way, you are using up the items before they go bad. In the long run, it’s also cheaper since you don’t have to make a grocery run just to get the specialty ingredients. Or, if I really need specialty ingredients, I can work that into my schedule so I’ll only make that dish when I already have the necessary ingredients in my pantry. This is probably the most surprising thing I discovered during this challenge. Even before I started with Postaweek, it’s already been my habit to rewrite recipes I intend to try on a little notebook. I appreciated it more because this notebook made a handy little reference when I’m scheduling my recipes. In addition, it’s small and sturdy enough that I can bring it to my kitchen without fear of ruining it. And lastly, writing it down in my own words let me internalize the recipe way beforehand, so I don’t forget things like preheating ovens or letting things go to room temperature. In my search for recipes that I want to try, I encounter such and such equipment that I will need when making a particular dish. I know that having those equipment would probably make my life much easier (e.g. stand mixer), but it doesn’t mean that I have to acquire it first before I try the recipe. Sometimes, I can substitute or improvise with existing things (e.g. a hand mixer). However, there are certain things that cannot be substituted, or that I don’t have any of the acceptable substitutes that I’ll just have to admit I can’t do those recipes. For example, I’ll have to pass on things that require a food processor/blender, because I have neither. No biggie! There are lots of other things I can try, anyway. This Postaweek challenge has taught me all these things. In addition, it has taught me the importance of being organized and planning ahead. Not to mention the incredible wealth of knowledge I’m picking up just by spending all this time in my kitchen trying things out for the first time. As promised, here’s part 2 of the gift series. This time, we will be focusing on the little things that your friends or family who are cooks (or even just cook apprentices) will appreciate receiving. Again, I will be focusing on “affordable” gifts, costing Php500 (~$11.41) and less. Small sauce pans – Many home cooks have a set of pots and pans sized for an entire family. However, sometimes they will need smaller-sized pans for cooking sauces and glazes or even meals for only one or two people. From experience, you can really never have too many sauce pans! Saizen and Japan Home both offer their signature-priced pans, although they are not really very sturdy. Department stores offer better quality pans for around three times the price. 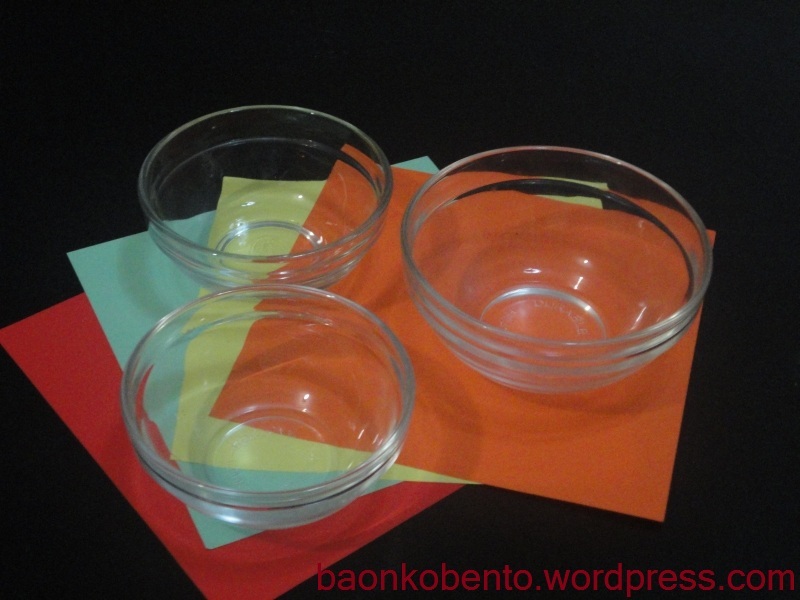 A set of small glass bowls – These are the very small clear glass bowls that we usually see in cooking shows, those that hold only a tablespoon or three of liquid or powder. These little bowls can serve a variety of purposes: they can hold cooking ingredients, serve as dipping containers, and if you buy the right-sized bowls, they can even measure ingredients for you. 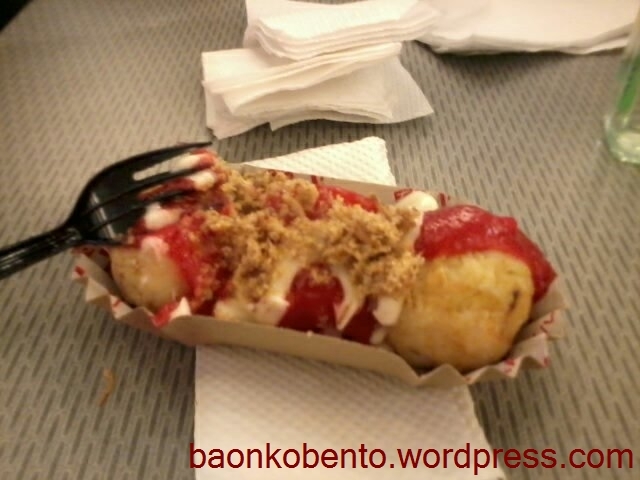 These usually cost Php15-40 per bowl. Spices – Spices are always a welcome gift for any cook. Having a complete stock of spices is very difficult because they aren’t really all that cheap. Try to avoid the common herbs like thyme, oregano, and rosemary. Instead, focus on the different ones like allspice, cumin, paprika, and turmeric. Better yet, try to find the rarer spice mixes that come with its own grinder. 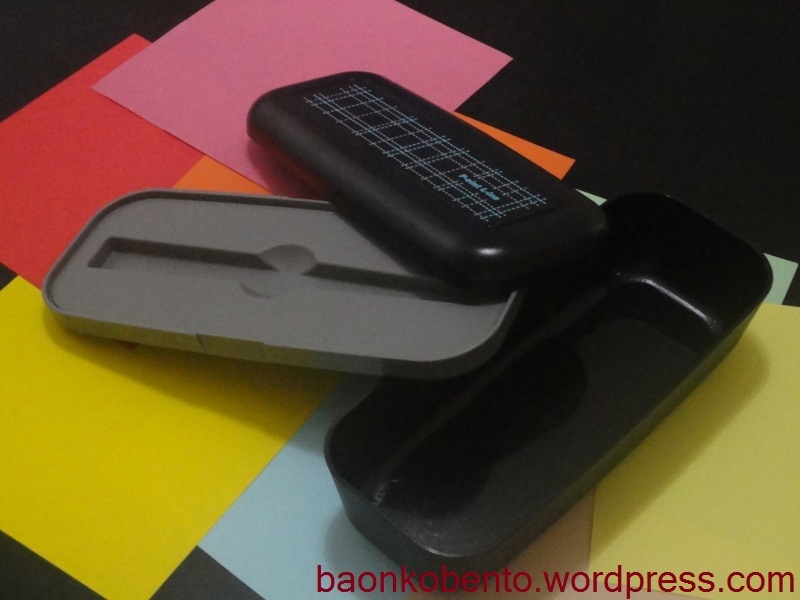 Containers with screwtop lids – Ah, containers. These are my personal favorites. 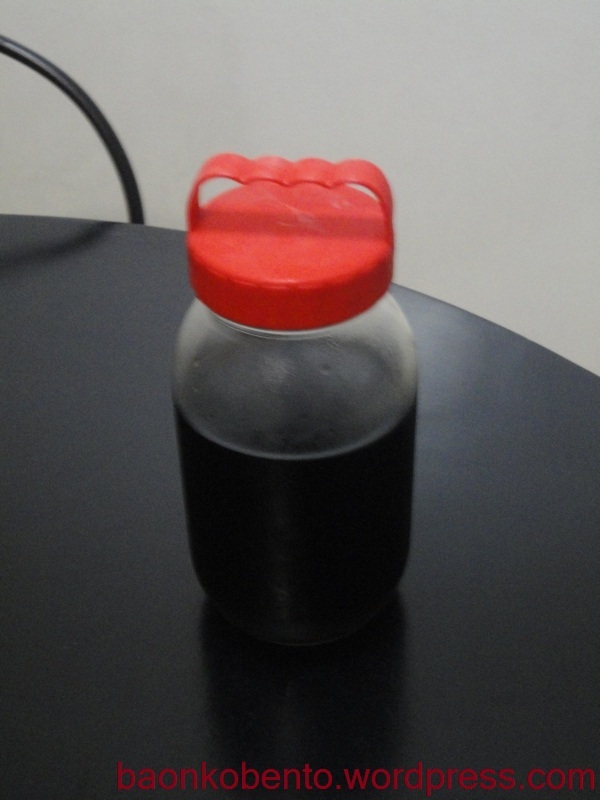 It is preferable to gift glass containers, since that is the least reactive of container material. Screwtop lids will prevent more dropped-container accidents than “vacuum” seals. Big containers offer good storage space for things like flour, pasta, and cereal. Smaller ones will hold sugar, coffee, and other table condiments. A matching set will make a great gift. I am in love with cookies, soft and chewy cookies in particular. I have recently attempted to bake cookies myself, in search for Mrs. Fields-esque melty and flavorful chocolate cookies. I’m quite lucky in my first attempt, and now I’m ready to move on to other types of cookies. Here’s a list of links I saw from my RSS feeds that I will attempt soon. 1. Chocolate Chunk Cookies – This is the one I made, and the recipe is from Home Cooking Rocks. 2. Sugar cut-out cookies – Who doesn’t like cookies in cute shapes? These cookies look like they are absurdly easy to make. The author even has a scaled down version for 3 dozen cookies (the original makes 8-12 dozen!). The nice part here is the sheer amount of customization you can make with decoration and shape. The bad part? It’s made of really just sugar and butter. 3. Brown Sugar Cookies – A “healthier” version of the sugar cookies, since brown sugar and whole wheat flour is used. It can also be shaped and decorated like the Sugar Cut-out Cookies above, although here the author recommends a cream cheese frosting. The only difficulty I see here is the molasses, as I’ve never handled that before. 4. Chocolate crinkles – Crinkles! Who doesn’t like crinkles? It’s almost ubiquitous, yet rarely can you find really good quality chocolate crinkles. This looks to be a good and simple recipe to try. 5. Oatmeal cookies – The presence of the oatmeal makes this a nice and crunchy cookie. And healthy too! 6. Cookie additives – Lastly, here’s a good list of things that you can add into your basic cookie recipe, without interfering with the actual cookie. Adds a whole dimension to cookie baking! You may note that there’s one kind of cookie I didn’t include, especially when it’s the Christmas season. I really don’t like gingerbread cookies, mostly because of the spices. I find the taste a little jarring, and not really enjoyable to eat. I don’t intend to ever make those. Do you have a cookie recipe to recommend? Please leave links in the comments section, I will very much appreciate it! The Christmas season is undeniably here, even though the weather is still uncooperative. And of course, Christmas means presents! I’m going to combine two of my favorite activities, shopping and cooking, to present you with a series of posts dedicated to gifts. 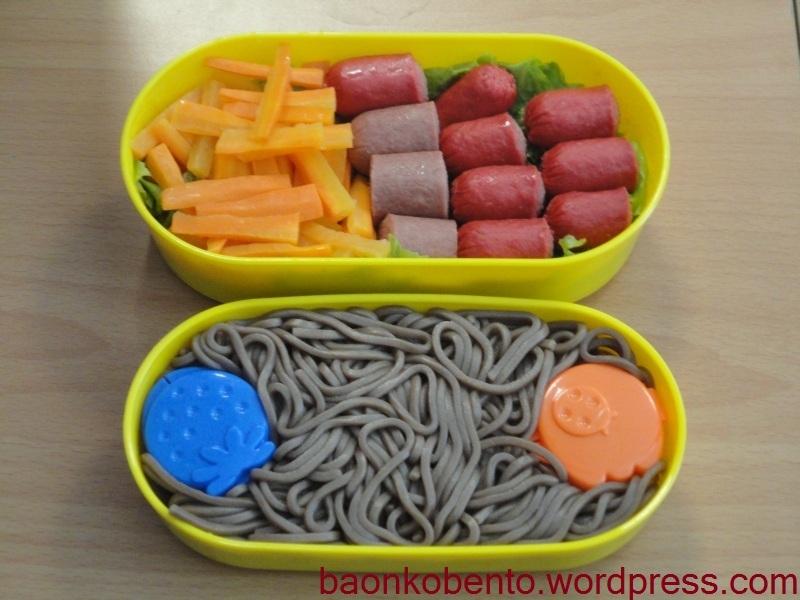 Part 1 will address the most specific: the bento enthusiast. Note that I will be focusing on “affordable” gifts, costing Php500 (~$11.41) and less. 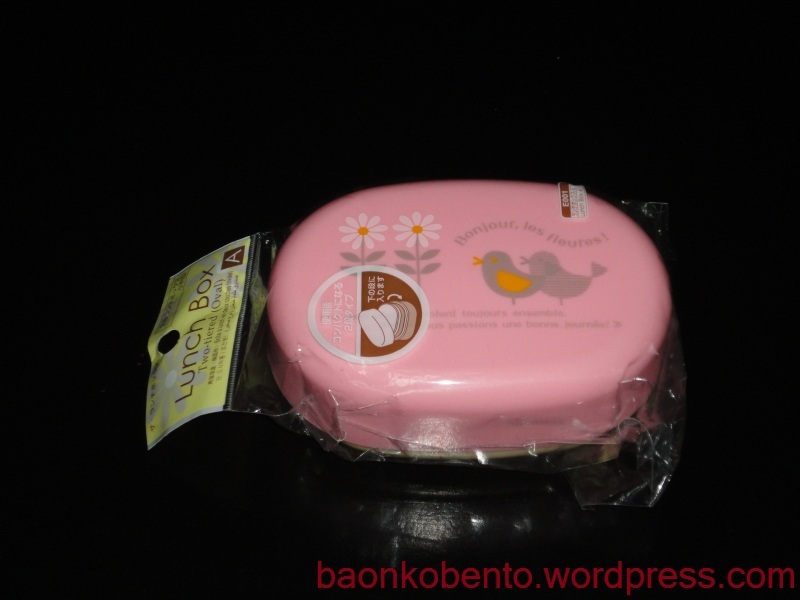 Bento box for girls – What bento enthusiast will say no to a bento box? Even if it will be her tenth, or even fiftieth, there’s a good chance that she will not have that specific box yet. Just choose an unusual design or shape, and you’re good to go. For beginners, this will also be the perfect entry point and will definitely inspire them to further their skills. Furoshiki – The nice thing about furoshiki is it could be of any cloth material. It doesn’t have to specifically say that it is a furoshiki. 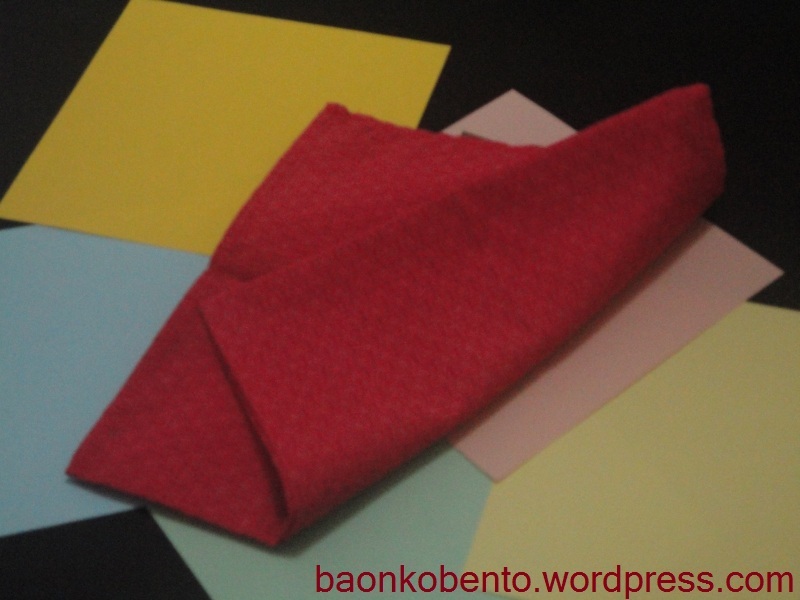 Normal items such as square scarves, large handkerchiefs, and bandanas can serve as furoshiki. Just find any square piece of cloth, preferrably of soft fabric and interesting design. Make sure that it is hemmed on all sides to prevent unraveling. You can even use it as the gift wrapping material itself! 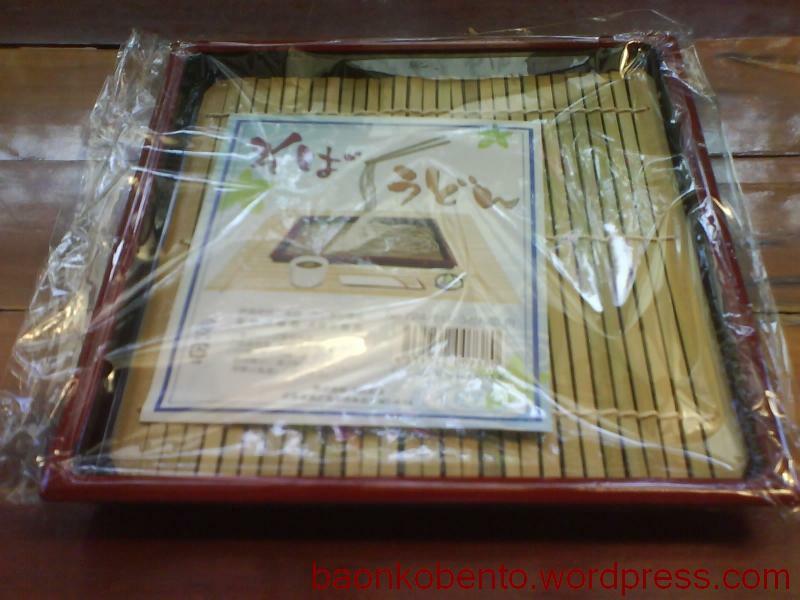 Sushi set – mat, paddle, and mold (optional) – Many a bento meal will feature sushi. A sushi set will always be a welcome gift. 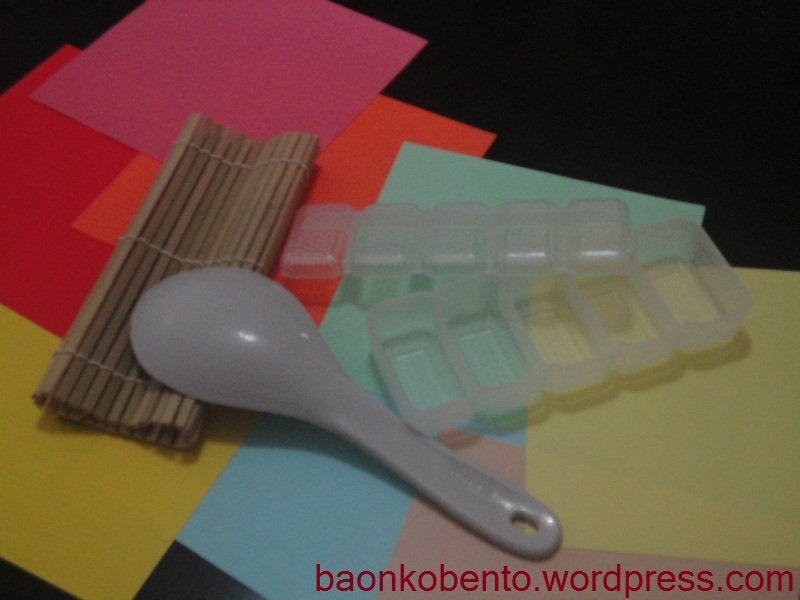 You’ll need a good bamboo mat and a wooden or plastic rice paddle to start out the set, and if your friend is ready to venture further, the addition of cute bento molds will be a happy surprise. Bento box for men – Sometimes your bento enthusiast will want to prepare meals for their significant others, sons, fathers, etc., and they will NOT appreciate being served meals in cutesy boxes. A perfect manly box is this black single-tier one from Saizen. Don’t worry about size, as they come in man-appetite-appropriate sizes as well. Accessory set – cutters, sauce containers, and silicone cups – To round out the list, I suggest gifting food cutters, sauce or condiment containers, silicone cups, or any combination of the above. Food cutters are the easiest way to style vegetables or sandwiches. Sauce containers are usually small colored containers to hold soy sauce, ketchup, or even furikake. Silicone cups are the best to use for separating food inside a bento box. Part 2 will address the home cooks and cook apprentices. Watch out for it! I love Japanese cold noodles. 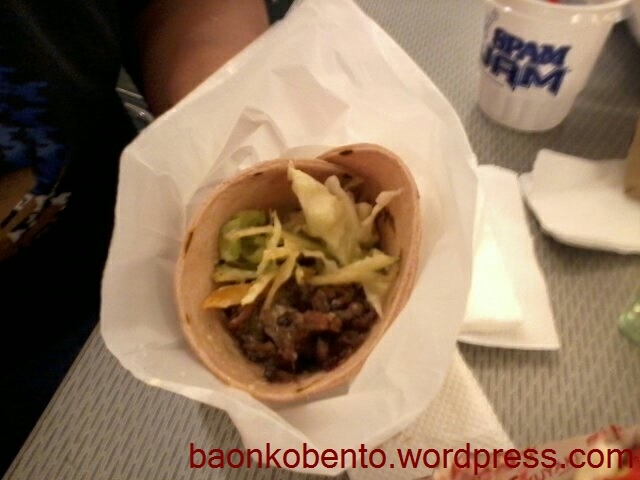 The first time I’ve tasted cold soba is from Komoro Soba at Megamall. They serve a cold soba set with an optional small bowl of katsudon for around Php 150 (~$3.33). In succeeding Japanese restaurants I go to, I always have an impulse to try their cold noodle offering but I end up getting something else like sushi or a donburi. I’ve also tried some assorted ramen-type dishes in various other restaurants. Recently, I’ve gotten the guts to try cooking cold noodles myself. 1. Japanese noodles aren’t really hard to cook. They are very similar to cooking regular spaghetti, just omit the salt and/or oil. Make sure that your water is already boiling before you put in the noodles. The length of time for boiling depends on the type of noodle you are cooking. 2. Washing the noodles is very important. They get rid of excess starch in the noodles. I find that the easiest way to do this is to dump all of the boiled noodles in a large colander, then run tap water through them. After a bit, you can gently stir the noodles around in the colander with your hands. 3. The ice bath is also important. After you have rinsed your noodles, transfer them from the colander into a prepared ice bath (a bowl of water with ice cubes). Keep them there for around a minute or two, then transfer into a serving plate like this. Bring to boil 1.5 tbs of mirin (should only take a few seconds) in a small saucepan. Add 1.5 tbs of white sugar and stir until all the sugar have been melted. Add 0.5 cups of soy sauce (light soy would work best), and stir a little. Take the pan off the heat. Add anywhere between 1.5 to 3 cups of dashi stock depending on how you want your dipping sauce to taste. Personally, I like to add all 3 cups of stock especially if you have rather strong soy sauce. Dashi stock? Dissolve 4 grams of dashi granules in 3 cups of water. You might need to heat the water a little to make sure all the granules are dissolved. Make sure to chill the dipping sauce well before serving the noodles. Warm dipping sauce is not really delicious. Notes: a) If you can’t be bothered with preparing your own dipping sauce, you can buy bottled mentsuyu in the Japanese section of your local grocery or supermarket. I’ve seen some at Landmark and Robinson’s supermarkets. 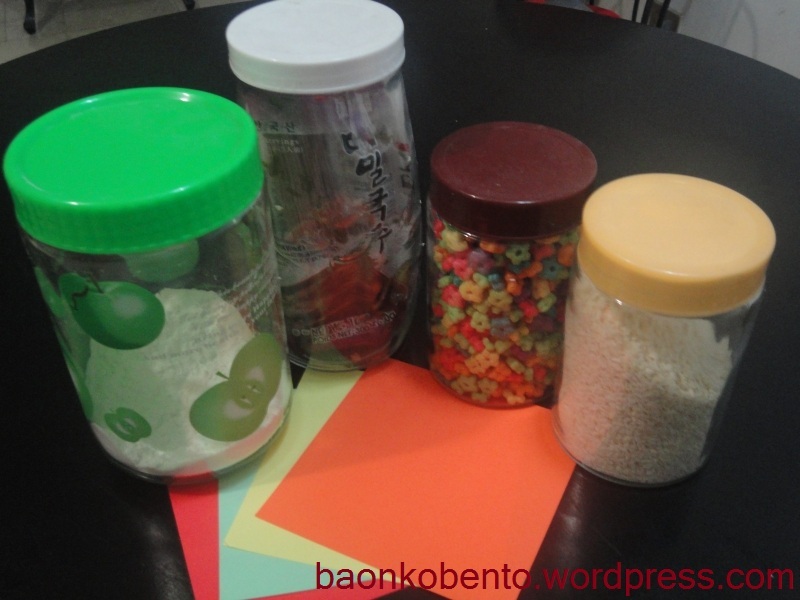 Incidentally, you can also find dashi granules and the actual soba and somen there. b) The packets say that the serving size is 100 grams per person. 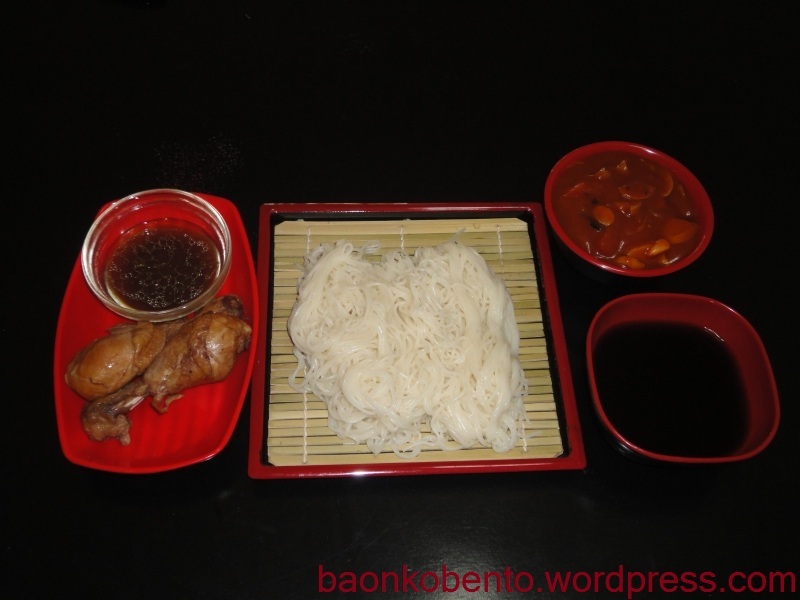 Conveniently, soba and somen come in pre-bundled um… bundles, so just cook 1 bundle per person that you are serving. This amount will fill your entire carb requirement for a meal. If you’re planning to eat other carbs with your meal, adjust the amount appropriately. c) Usually you put condiments on either your noodles or the dipping sauce or both. The article above lists some condiments you can try. Most of the time I forget to put condiments, but the noodles taste good regardless. 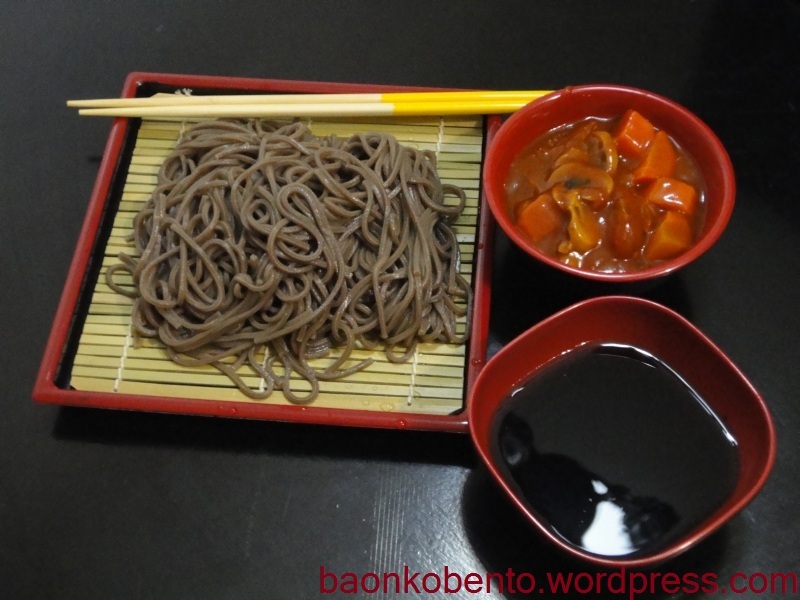 Soba – thin buckwheat noodles that are usually brown, although I’ve seen some packs that say they are cha soba (green-tea flavored) and are thereby greenish. I mentioned that you should boil these for 10 minutes, but you could cook for a shorter period if you want to have firmer noodles. Here’s a meal for one I did a week ago. Somen – very thin white noodles made of wheat flour, very reminiscent of vermicelli or angel hair pasta. Again here is a meal for one I made earlier this week. I find that I like somen better than soba because of its light airy texture. It also holds the taste of the dipping sauce better.